Pakistan Institute of Rehabilitation Sciences (PIRS) is determined to build a strong and an inclusive society by creating a pool of human resource for rehabilitation and utilization of the intellect of persons with disabilities. It has been established by the CHEF-International in collaboration with the CBM at the Islamabad Campus of ISRA University. Pakistan Institute of Rehabilitation Sciences (PIRS) was established in 2011 but inaugurated formally by Dr. Javaid R. Laghari, the Chairman Higher Education Commission, on 18th of October 2012. The prime objective of Pakistan Institute of Rehabilitation Sciences (PIRS) is to train the Allied Health Personnel to facilitate the provision of rehabilitative services in terms of cross disabilities. At present there is an emergent need to have large number of well trained allied health personnel in Pakistan for providing the required services to the needy segment of the population. 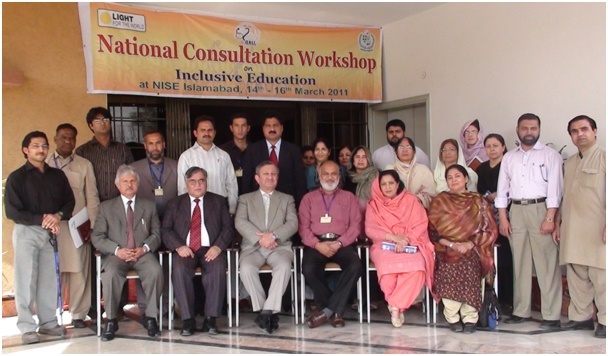 The PIRS is dedicated to provide purposeful quality education and hands on training required for rendering the rehabilitative services in cross disability across the country.